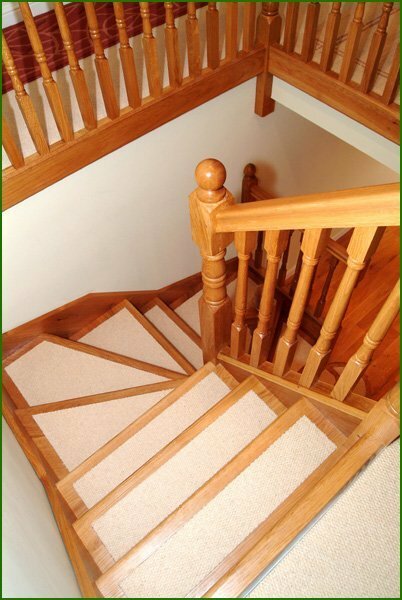 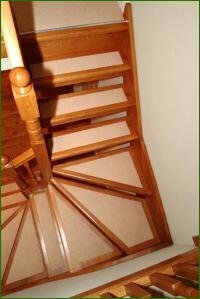 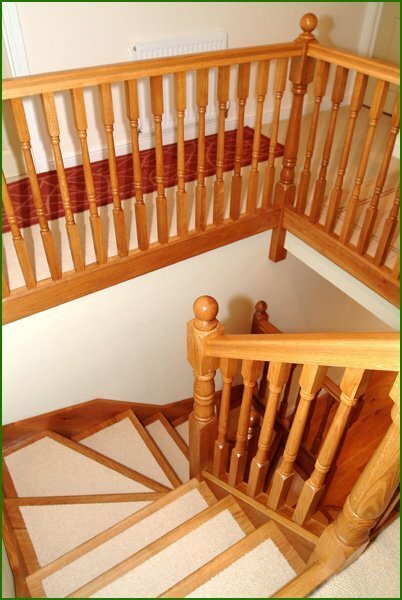 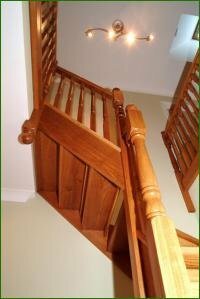 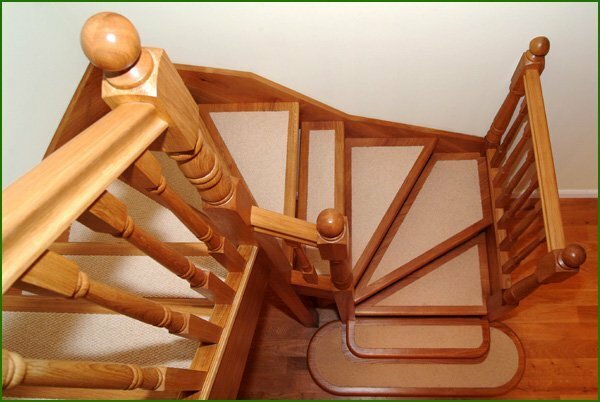 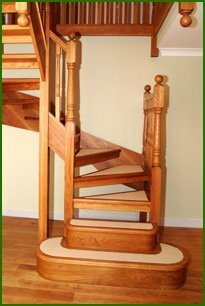 This attractive open tread winder staircase in oak has turned newels and spindles complete with ball caps. 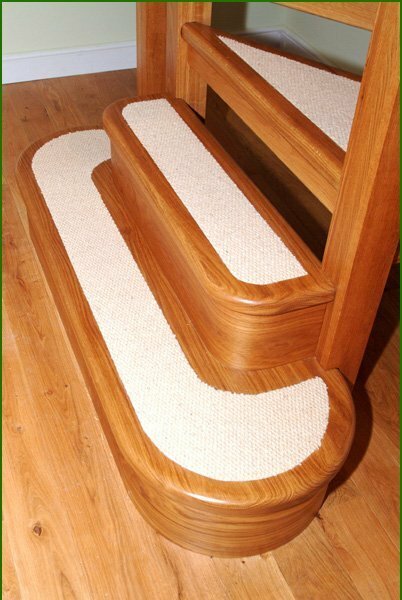 The treads are made to a thickness of 32mm and were routed out to allow the carpet pieces to be inlaid separately on each tread. 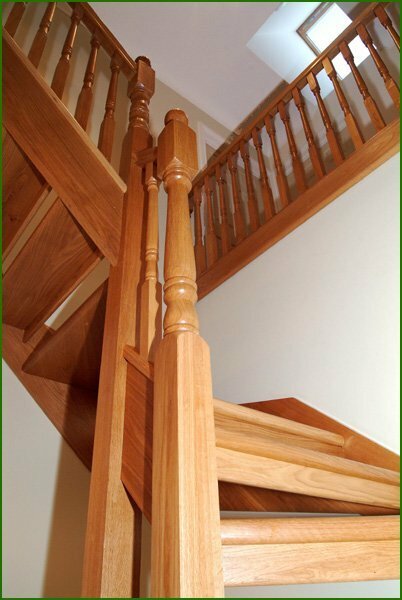 The double D-end first step and double bullnose second step add to the look of this impressive product.